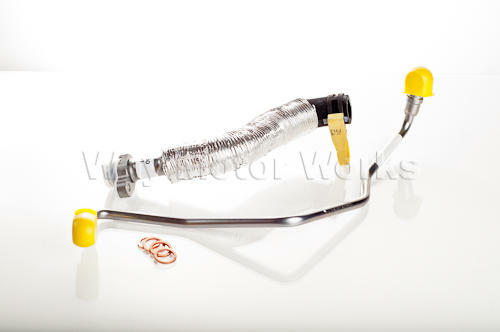 Oil Line set for Turbo MINI Cooper S R55 R56 R57 R58 R59 R60. As these MINI's get older we are finding these lines are starting to leak. If yours are leaking this is a fire hazard as the oil can get on the hot exhaust and catch fire. Due to the amount of labor to replace one, we suggest replacing them both at the same time.